Almost 75% of women experience yeast infection in their lifetime. Some of the symptoms of yeast infection are itching and burning of the skin, red irritated skin and frequent discharge. Candida yeast is an organism which is responsible for causing yeast infection. Before you start treating it with medicines, head over to your kitchen and start eating foods that are highly packed in vitamins and probiotics. These foods will treat and prevent yeast infection. Stop eating foods that are loaded with sugar and carbs as they cause yeast infection. But before you come across your diagnosis, it is always better to get yourself checked by a doctor as sometimes these symptoms might indicate some other disease or infection too. Now let’s have a look at the foods that are effective in preventing yeast infection. 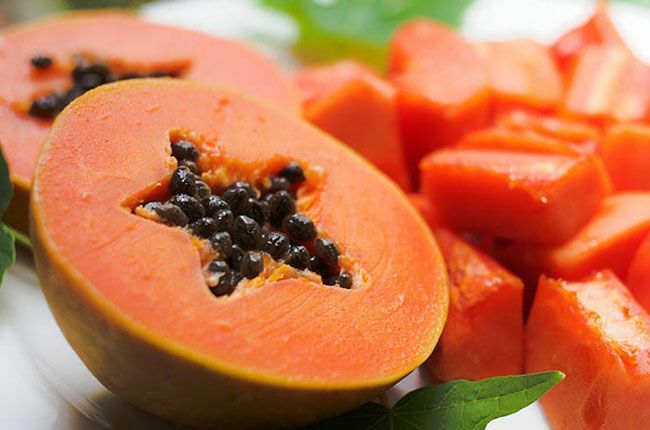 The extracts from the seeds and leaves of papaya are proved to be very effective in preventing you from yeast infection. It works against fungal infections too. Papaya is rich in vitamin C. It has 115% of vitamin C of your total daily requirement. You can add papaya to your smoothies and salads to enjoy its yummy taste as well as to get maximum health benefits from it. I would like to learn about more of this food that can heal.